Education Secretary Br. Armin A. Luistro FSC has ordered the release of funds to augment financial support to public high schools that cater to students who have special aptitude in science and technology and gift in the arts. Luistro said the support fund to some 198 public secondary schools implementing science and technology oriented program will result to a stronger science and mathematics education in the country. “There are students who stand out from the rest because of their strong science and technology orientation which need nurturing by the State by way of additional funding support,” added Luistro. Each of the 198 schools is allotted a fixed amount of P144,000 this year and a variable allocation of P500 per student based on the average enrolment in the last two years. The financial support can be used to buy supplies and materials for science investigatory projects and for rental/payment of equipment and laboratory tests for student researches. It can also be used to subscribe to print and non-print instructional materials, for training of science and math teachers, and repair and maintenance of lab and science equipment. 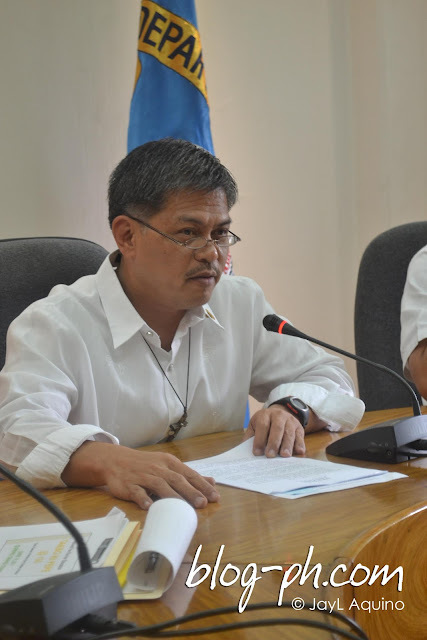 Luistro also gave instructions to release additional financial assistance to the 17 regional science high schools amounting to P1.15 million each. Moreover, DepEd allotted P2,000 per student in these schools based on last school year’s enrolment to further promote quality, science-oriented secondary education. Related to this, DepEd will grant the 17 regional public secondary schools offering the special program for the arts (SPA) a funding support of P500,000 each to augment their regular maintenance and other operating expenses. These schools serve as the center for arts development that opens the door for students to develop their talents and produce trainers for other schools in the region which intend to implement the same program. “One of our mandates is to preserve and teach arts to subsequent generations of artistically-inclined students,” explained Luistro. The additional fund can be used in the students’ training/participation in DepEd-approved art festivals and competitions as well as to procure art and music supplies, costumes and instructional materials. It can also be spent in teachers’ training in the arts and their participation in scholarships, professional upgrading, including enrolment in a master’s degree program.